HOUSTON - June 10, 2014 - KBR, Inc. (KBR) today announced that Mr. Stuart Bradie has assumed the role of President and Chief Executive Officer for KBR, Inc.
Mr. Bradie has more than 25 years of industry experience and joins KBR from WorleyParsons, where he held the position of Group Managing Director - Operations and Delivery. In that role, Mr. Bradie led the Group`s global operations, project delivery and assurance. He was previously Managing Director responsible for operations in Europe, Africa, Asia and the Middle East. Mr. Bradie has a Bachelor Degree in Mechanical Engineering from Aberdeen University and a Master of Business Administration from the Edinburgh Business School, Heriot Watt University. "I am excited and honored to be leading the global KBR team," Mr. Bradie said. "The company and our people have a great reputation and world-class capability in delivering projects. Working closely with our customers I am confident we can positively move the company forward." 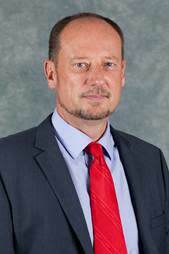 Announced as the company`s incoming President and CEO on April 9, 2014, Mr. Bradie will lead KBR from its global headquarters in Houston, Texas. KBR employs some 27,000 employees worldwide in locations that include North America, Asia, Australia, Africa, the Middle East, Europe, and Latin America. KBR is a global engineering, construction and services company supporting the energy, hydrocarbons, power, industrial, civil infrastructure, minerals, government services and commercial markets. For more information, visit http://www.kbr.com/. KBR`s most recently filed Annual Report on Form 10-K/A, any subsequent Form 10-Qs and 8-Ks, and other Securities and Exchange Commission filings discuss some of the important risk factors that KBR has identified that may affect the business, results of operations and financial condition. Except as required by law, KBR undertakes no obligation to revise or update publicly any forward-looking statements for any reason.